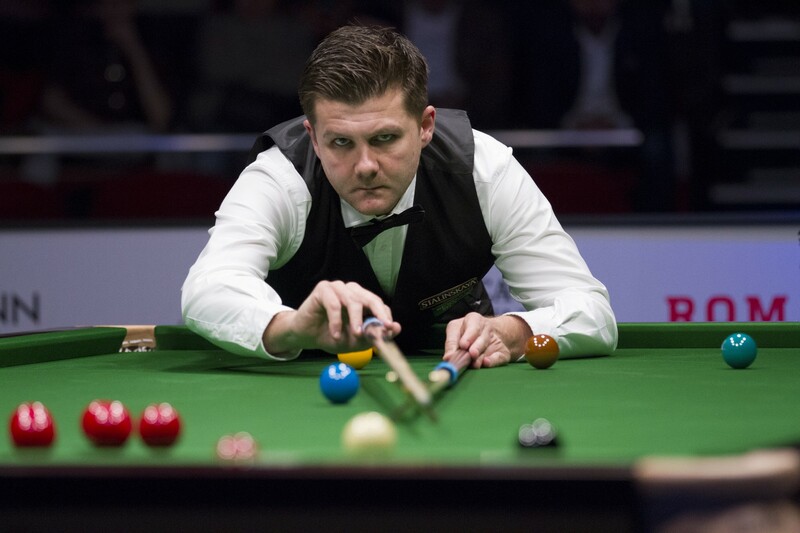 Ryan Day made it back to back titles by beating Stuart Bingham 10-8 in the final of the Romanian Snooker Masters. Welshman Day fought back from an early 4-0 deficit to beat Bingham in an exciting final in Bucharest, eventually securing victory on a respotted black in the 18th frame. He banks 50,000 Euros for winning this new invitation title. And that makes it two trophies within the space of a week for the 37-year-old from Pontycymer, as last Sunday Day won the ManBetX Gibraltar Open. 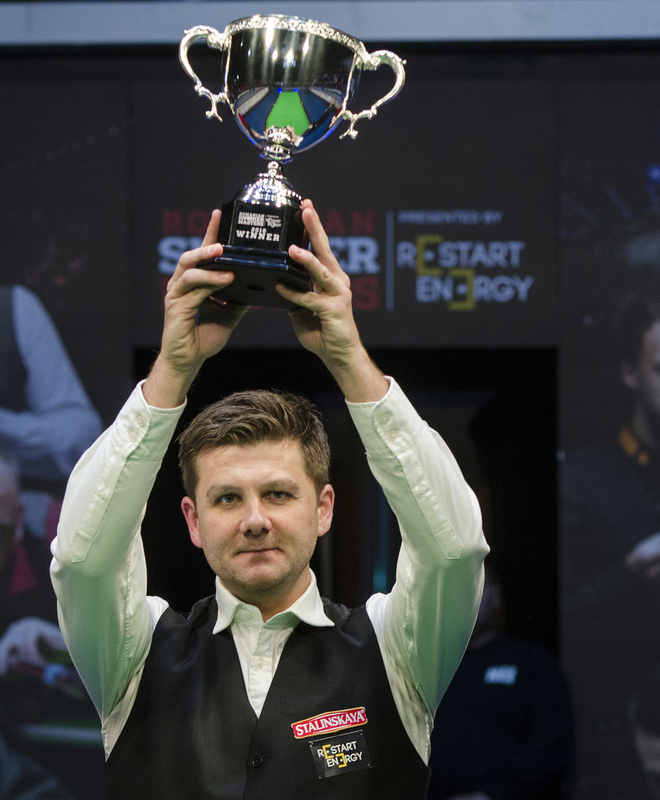 Having also landed the Riga Masters crown last June, Day has now won three titles this season – two of them ranking events. Previously, the only silverware of his 19-year pro career came at the 2001 Masters qualifying tournament. World number 17 Day started using a new cue at the recent Welsh Open and has clearly put it to great effect. He has won his last 11 consecutive matches, and now heads to Llandudno in North Wales for the Ladbrokes Players Championship aiming to win a hat-trick of titles. He faces World Champion Mark Selby in his opening match on Tuesday. Bingham missed out on his first title since the 2017 Welsh Open and the world number 13 earns 25,000 Euros as runner-up. Breaks of 57 and 84 helped Basildon’s Bingham win the first four frames, then Day crucially cleared from yellow to black in the fifth to get one on board. He compiled runs of 62 and 52 as he recovered to 4-3. Former World Champion Bingham made a 124 to win frame eight but Day took the last of the afternoon to trail 5-4 going into the evening session. A break of 50 from Day made it 5-5 and he took the lead for the first time by winning a marathon 56-minute 11th frame by potting blue and pink. Bingham hit back with an 84 for 6-6 and he won the 13th to restore his lead at the mid-session interval. Day got the better of a scrappy 14th then Bingham’s 111 put him 8-7 up. Essex cueman Bingham failed to score a point in the next two as Day’s runs of 61 and 45 helped give him a 9-8 advantage. Both players had chances in frame 18, and Bingham potted pink and black to leave the score 59-59. But it was Day who slotted in the respotted black to clinch the crown. “I didn’t play my best game but I fought as hard as I possibly could,” said Day, who knocked out Barry Hawkins, John Higgins and Kyren Wilson to reach the final. “I wasn’t at the races to start with so to finish the first session only 5-4 down was a bonus. When I got a chance on the respotted black, I just tried to stay still and push the cue through in a straight line, and luckily it went in.